Liam (Scott Clifton) talks to his daddy about Taylor (Hunter Tylo). After an encounter with Tay Tay, an unnerved Hope (Annika Noelle) runs to momma. Bill (Don Diamont) is shocked to know that Brooke (Katherine Kelly Lang) has the goods on Taylor. Liam and Steffy (Jacqueline MacInnes Wood) come to blows. Emma&apos;s (Nia Sioux) friend Tiffany (Maile Brady) returns . . .
Donna (Jennifer Gareis) and Honey Bear (John McCook) get a little alone time. Taylor and Reese (Wayne Brady) party and spark. 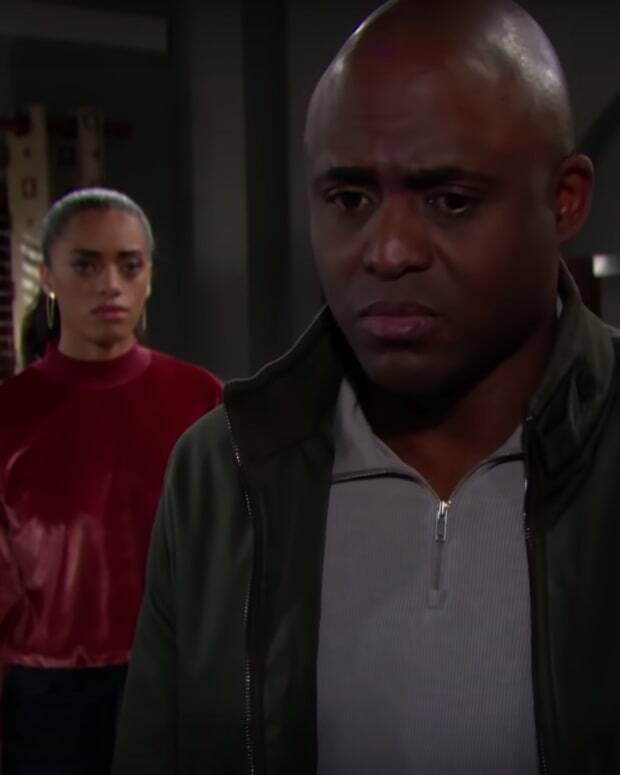 B&B Spoilers: Maya Returns Without Rick!